1. 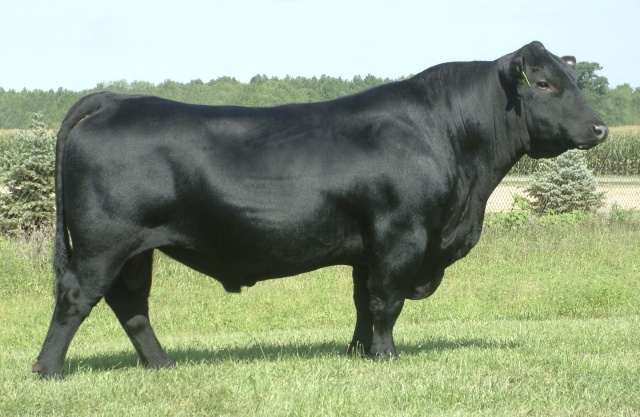 He sires low birth and high growth calves. 2. Top 2% for $W. 3. Reduces frame size and adds rib. 4. A son in his first calf crop sold for $30,000.